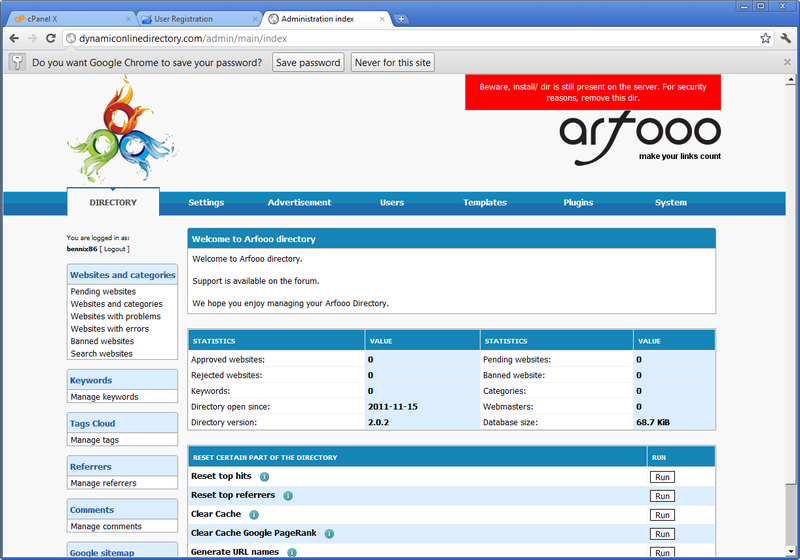 Home Software Webmasters Guide Review: Free Arfoo Directory Script-does it works? 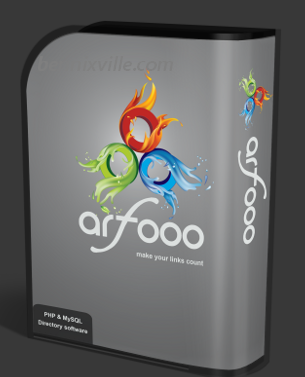 Review: Free Arfoo Directory Script-does it works? I've been looking for a free directory script online that can be customized for my personal directory project and I found Arfoo (v2.0.2), an open source directory powered by PHP with mySQL support. So, I give I shot on Arfoo version 2.0.2 though, the installation instruction seems confusing (not so detailed compared to PHP Link Directory) I have successfully installed Arfoo in my CPanel just an hour. After the installation, I login and check the Admin Panel, I see its menus are well organized, easy to navigate, and lots of features. Lack of Customer Support -The only means to contact the developer is thru their forum and the contact page (no response). Not good, the forum labeled as Arfoo tutorials which are flooded with marketing post about fashion items. Less Popular Script - Arfoo Directory seems a dead script. They claim that the script was chosen by hundreds of webmasters worldwide but I've never found any reviews that time in Google. Unstable - Version 2.0.2 had so many internal bugs and no options for templates. It’s totally free – No hidden cost and free update (but you're not allowed to remove the footer text). Migration Script is available- using the migration script you’re be able to transfer from your current directory to Arfoo. Overall I am not satisfied with Arfoo so I'd try another directory script that can be tailored-fit for my project.